Taskforce series, there’s a wildfire out of control in California—and in the hearts of my hero and heroine. Dr. Emma Collins is a forensic psychologist who owns a horse ranch where she rescues old horses and uses them to rehabilitate the juvenile criminals who come for therapy. She also rescues dogs and veterans with PTSD, giving them a second chance at life. My hero, National Intelligence agent Mitch Holden, suffers the loss of his twin brother while in the military, and believes his brother’s death is his fault. He’s not looking to be Emma’s bodyguard when a felon she convicted escapes prison, and he certainly isn’t looking for anyone to rescue him. If there’s one thing I love, it’s a goodhearted story about rescuing animals. Add to it the idea that love can save anyone and everyone, and I’m totally on board. The holiday element added another layer that I loved writing. Miracles at this time of the year really do happen, and it was deeply gratifying to me to give this couple a holiday they would never forget! With each of the SCVC Taskforce books, I pick a charity to donate part of the proceeds to. With DEADLY ATTRACTION, I chose Rescue Dogs Rock NYC. It’s a wonderful organization run mostly by volunteers and donations. The wonderful people there rescue abused and abandoned dogs and nurse them back to health. RDR then adopts them out to their forever homes, giving these wonderful, loving animals a second chance at life. So this holiday season, help me start a *giving* wildfire. Buy a book and help rescue a dog. Or donate the cost of a book to a charity of your choice. Every small thing we do is a match that can start a wildfire that gives another soul a second chance at love! 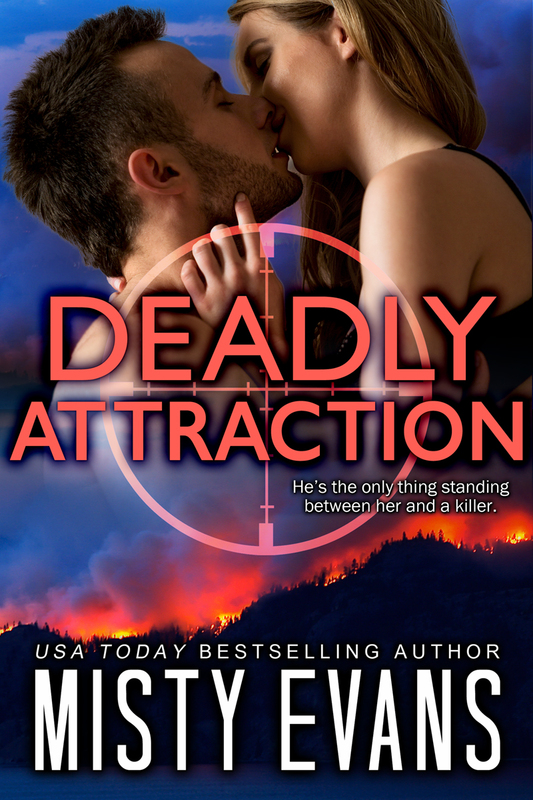 And if you’d like to check out a holiday romantic suspense that readers are calling “…fast-paced, hold-your-breath action…” , grab your copy of DEADLY ATTRACTION today! Can't wait to start this series. I'm enjoying Shadow Force International.